A makerspace is a place to create anything that you can see in your imagination. Why do we need a makerspace? When our students create the things they design in their minds, they become experts. It is hands-on learning at its best. 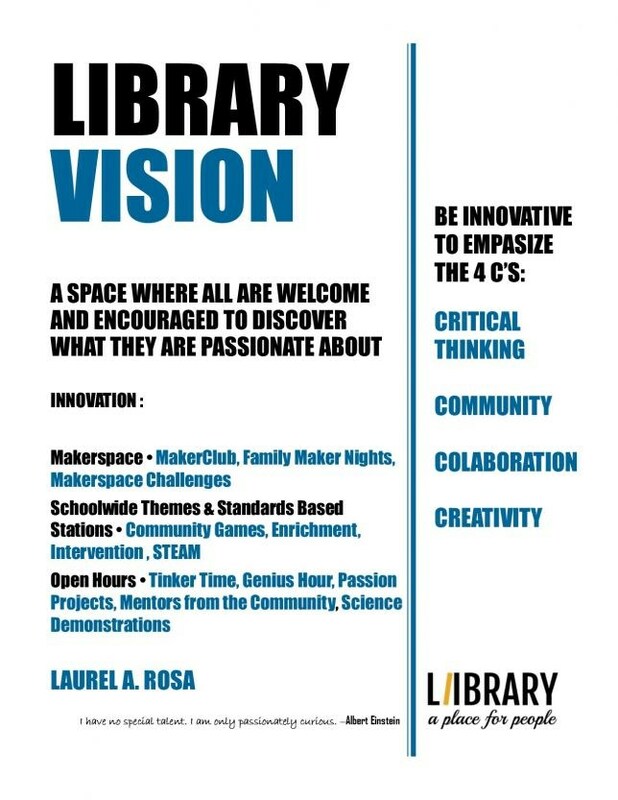 Who will be able to use our Library Makerspace? All students will visit the library on a weekly basis. If they wish to expand their use of our makerspace, they will be able to do so during open hours.